Today we got more insight into Chinese culture. 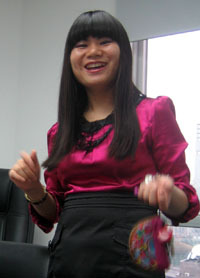 Outotec HR manager HE Ying made us feel warmly welcome right from the beginning. We had a deep dive into Chinese culture in topics such as dining, working and one child’s policy. Ying told us about amazing Chinese business culture and the difficulty in seeking for talent in China. There would be about 50-100 applicants per day for an open position in Outotec China. Moreover division manager Simon Courtenay gave us a comprehensive, yet easily understandable and interesting presentation on the processes mining and in handling metals and other commodities. Outotec has pioneering technologies that help to cut down water, energy and raw material consumption.